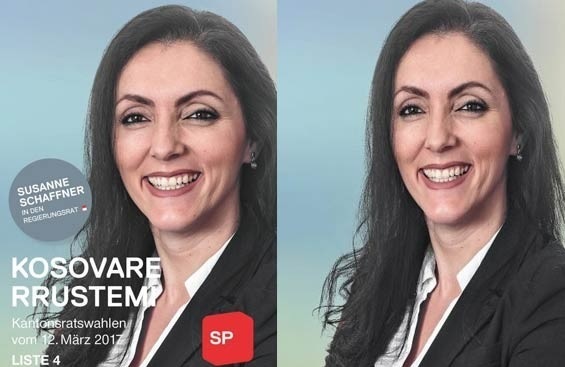 Kosovare Rrustemi from Gjilan of is a candidate for deputy in the Assembly of the Canton of Solothurn, Switzerland in the 12 March elections. She lives in Switzerland since 1993, and in 2016 became a member of the Social Party, who also competes for MPs. Rrustemi is currently in the assembly of the municipality of Derendigen, meanwhile, Kosovo media reports she seeks a seat as a member of the Canton of Solothurn in order to achieve something in the field of education and equal rights of Albanians, but also all communities there. Rrustemi is the first Albanian competing for MP in the canton of Solothurn and to achieve this she needs 4 thousand votes. Rrustemi expects the number of Social Party 4 and and her number for deputy who is 18, to be voted not only by Albanians, but also by the Swiss. Before entering in politics, she has been leading the organization Terre des Hommes, which deals with children and has branches in Kosovo.